The Braque du Bourbonnais originated in the Province of Bourbonnais, France. PLEASE NOTE: This breed has been accepted for recording in the AKC Foundation Stock Service (FSS). This is simply an avenue to maintain reputable records regarding the breed’s development. This breed is not eligible for AKC (American Kennel Club) registration. The Braque du Bourbonnais will reach an adult height of 18-22.5 inches and an adult weight of 35-55 pounds. The Braque du Bourbonnais coat is made up of short, dense, fine hair. The colors are liver and fawn. The Braque du Bourbonnais is a passionate, intelligent family companion dog. The Braque du Bourbonnais is a passionate, intelligent family companion dog. The Braque du Bourbonnais is a people pleasing animal who is very affectionate and become very unhappy if isolated from the family. They are well balanced and cooperative. You can find Bouronnais Pointer puppies priced from $0 USD to $0 USD with one of our credible breeders. Browse through our breeder's listings and find your perfect puppy at the perfect price. The Braque du Bourbonnais is a people pleasing animal who is very affectionate and become very unhappy if isolated from the family. They are well balanced and cooperative. The Braque du Bourbonnais do not require a lot of grooming. They need to keep their nails trimmed and their coat bathed when necessary. They shed minimally. Due to their high intelligence, the Braque du Bourbonnais are an easily trained animal and they learn quickly. Daily exercise is important for the Braque du Bourbonnais. This is a hunting dog and so they do prefer the outdoor life. If not hunting, they do enjoy long, daily walks. Without family companionship and daily exercise, the Braque du Bourbonnais can become destructive and/or depressed. Bouronnais Pointer Puppies for Sale - Shipped Worldwide! Finding the right Bouronnais Pointer puppy can be dog gone hard work. PuppyFind® provides a convenient and efficient means of selecting and purchasing the perfect Bouronnais Pointer puppy (or Bouronnais Pointer puppies) from the comfort of your home, 24 hours a day, 7 days a week. Take advantage of our PuppySearch or leisurely browse our directory of hundreds of dog breeds, Bouronnais Pointer dog breeders, Bouronnais Pointer dogs for adoption, and Bouronnais Pointer puppy for sale listings with photos and detailed descriptions. Some Bouronnais Pointer puppies for sale may be shipped Worldwide and include crate and veterinarian checkup. Many Bouronnais Pointer dog breeders with puppies for sale also offer a health guarantee. 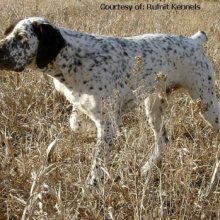 With thousands of Bouronnais Pointer puppies for sale and hundreds of Bouronnais Pointer dog breeders, you're sure to find the perfect Bouronnais Pointer puppy.